Do you have it in you for one more roast turkey recipe? 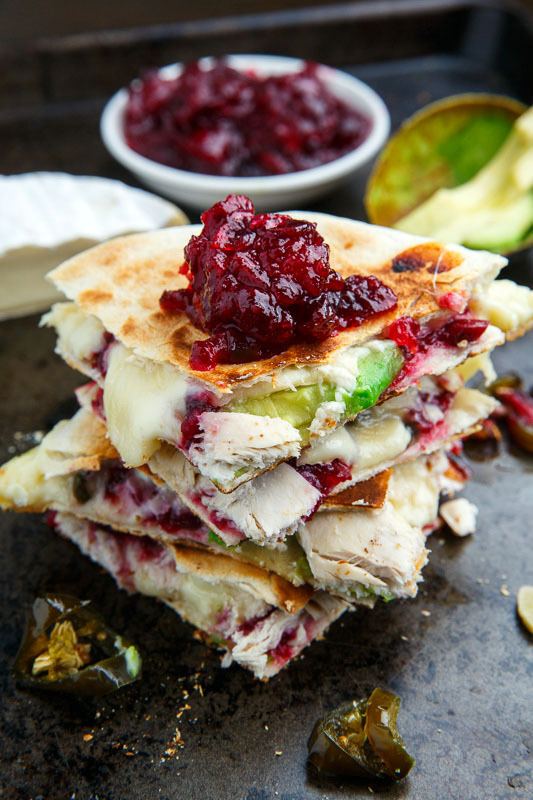 I hope that you have some roast turkey leftover from your Thanksgiving dinner to make these tasty jalapeno cranberry and brie turkey quesadillas with avocado and candied jalapenos! (If you don’t you should seriously consider roasting up some turkey right now!) 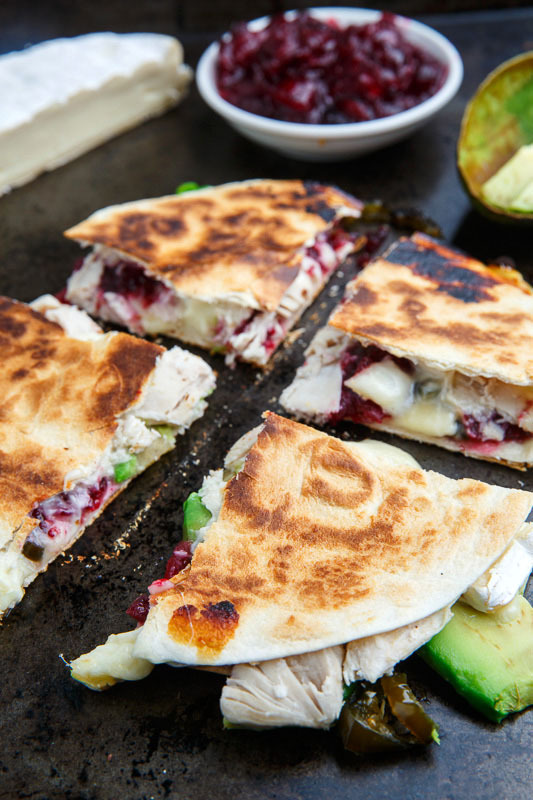 I often make a jalapeno cranberry cranberry sauce in addition to the classic cranberry sauce for those that like a bit of spice and because it’s perfect to use the leftovers in tacos, burritos or these quesadillas! When I think about quesadillas, after first thinking about all of that melted cheese, I go to the spice and so I like to throw some more in with the addition of candied jalapenos which I almost always have on hand these days! 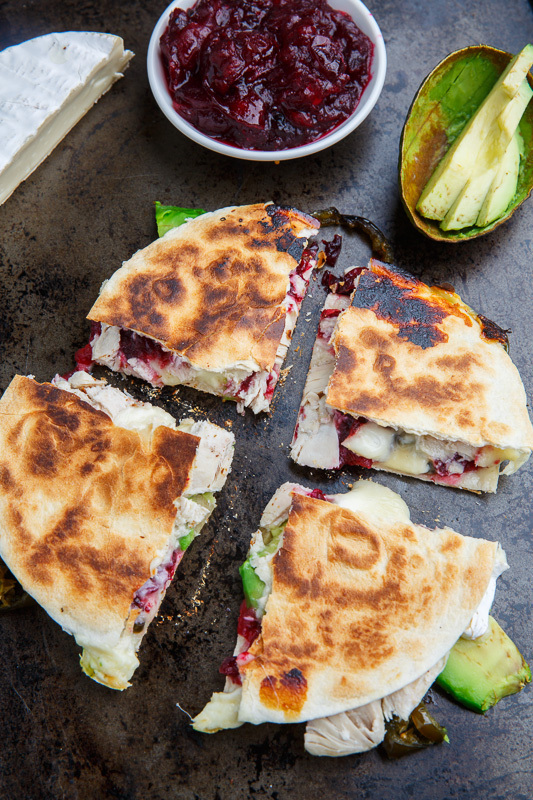 You just can’t go wrong with the turkey and cranberry flavour combo in quesadillas with spicy jalapenos, creamy brie and cool avocado! 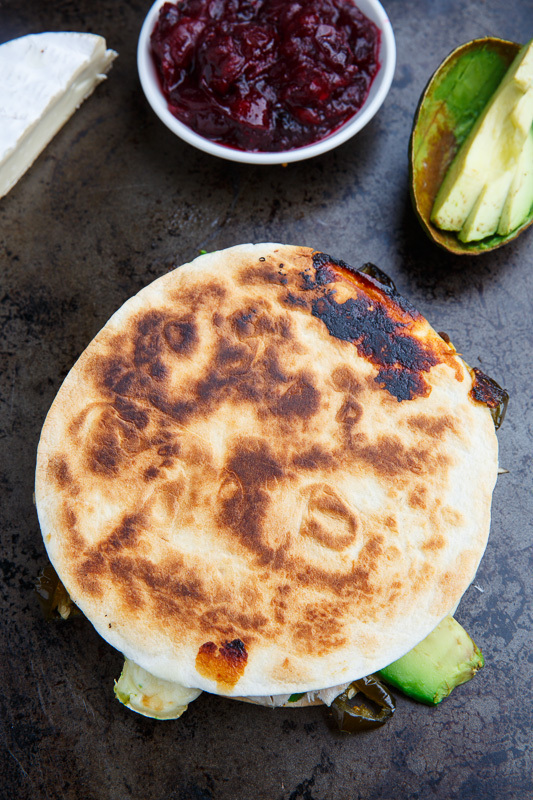 Place one tortilla in a pan, sprinkle half of the cheese over half of the tortilla, top with the turkey, cranberry sauce, avocado and the remaining cheese and tortilla. What a delicious sounding combination! The photos make my mouth water! 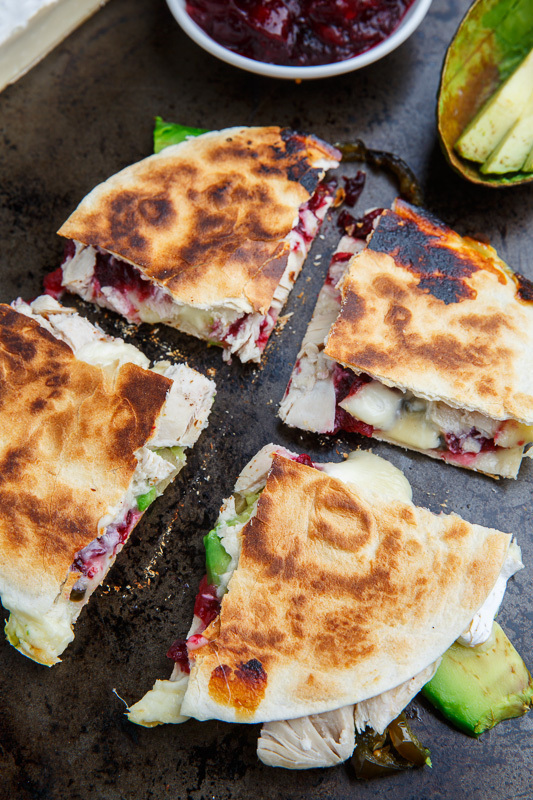 Jalapeño cranberry sauce sounds right up my alley and these quesadillas look delicious! Hey Kevin! I've been making several of your recipes over the past few years and this has to be one of our favorites! I modified it a bit as we didn't use candied jalapenos, rather regular jalapenos. And to keep it spicy, I used pepper jack cheese and added something you love in your recipes: bacon! It is delicious!I've made this 2x since Thanksgiving and I'm sorry leftovers are gone. I'll just have to make more turkey! Thank you for such a splendid recipe and I so enjoy receiving your emails with new recipes!